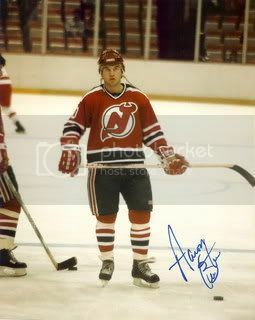 Aaron K. Broten (Born November 14, 1960 in Roseau, Minnesota) is a former professional hockey player who was drafted in the 6th round, 106th overall in the 1980 NHL Entry Draft by the Colorado Rockies (who moved to New Jersey to become the Devils two years later). He is also the younger brother of former NHL player Neal Broten and older brother of former NHL'er Paul Broten. Aaron led Team USA in points (7) and goals (4) as an 18-year-old high school senior at the 1979 World Junior Championships in Karlstad, Sweden. Aaron played on line with brother Neal at both Roseau High School and University of Minnesota (1980-81 season only). Was considered Minnesota's top high school hockey player and No. 1 college recruit in 1978-79. Had 130 goals and 130 assists for 260 points in three years of high school hockey at Roseau. Became only player in Minnesota (WCHA) history to score 100 points in a season when he achieved feat in 1980-81. Was on Minnesota team that joined Montreal to compete in the 1990 NHL Friendship Tour in Soviet Union. Came out of retirement to play three games for Team USA in 1998 World Championships qualifying tournament at the age 38, helping USA retain its position in the World Championships' Pool A. Named one of the 50 greatest players in University of Minnesota hockey history as part of "Legends on Ice" tribute in 2001. Named one of the 50 greatest players in WCHA history by conference on Feb. 15, 2002. Elected into USHHoF in 2007. 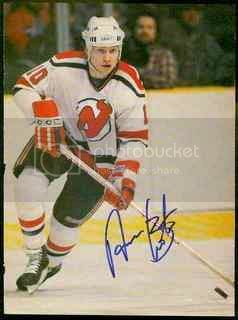 During his twelve-year career, Broten played for five different NHL teams, including the Colorado Rockies/New Jersey Devils franchise, the Minnesota North Stars, the Quebec Nordiques, the Toronto Maple Leafs, and the Winnipeg Jets. He retired from professional hockey in 1992. 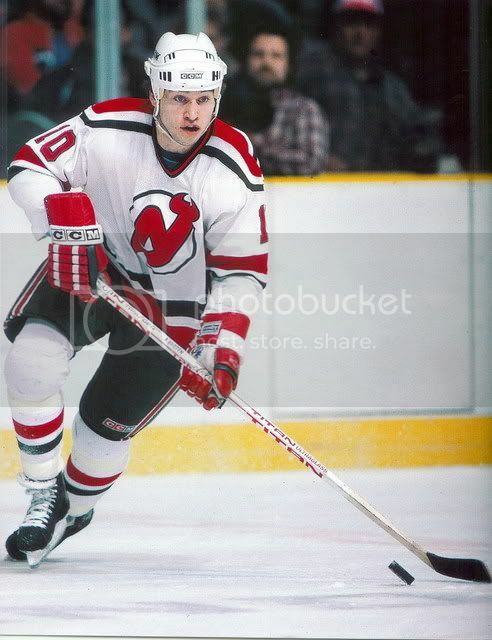 Aaron Broten was a solid two-way forward who played over 700 games in the 80s and 90s. Comfortable at center and left wing, he registered three 20-goal seasons and was effective on both specialty teams. The native of Roseau, Minnesota was a member of the famous family that also sent his brothers Neal and Paul to the NHL. He was a top high school player in 1978-79 when he scored seven points in five games for the USA at the World Junior Championships. 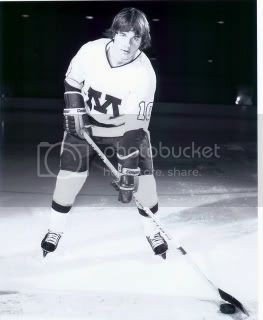 Broten attended the University of Minnesota for two years where he was an offensive force. Following an excellent freshman year, he was chosen 106th overall by the Colorado Rockies at the Entry Draft. The next year he led the WCHA in goals, assists and points, was placed on the conference's first all-star team and named to the NCAA Championship all-tournament team. He capped off his dream season by playing his first two NHL games and skating for the U.S. at the World Championships. After being recalled from the minors in 1981-82, Broten enjoyed a solid rookie season with 39 points in 58 games. When the Rockies missed the playoffs, the young winger played for the eighth place U.S. at the World Championships. 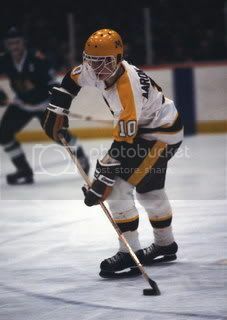 Broten was a versatile player in 1982-83 when he scored 55 points and was a member of the power play and penalty killing units. Broten joined his brother Neal on the U.S. Canada Cup team that reached the semi-finals in 1984. During the 1984-85 season, he hit the 20-goal mark for the first time then played for his country at the World Championships when they just missed winning a medal. 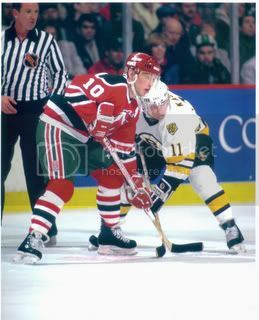 Broten also played for the U.S. at the World Championships in 1986 and 1987 as well as the 1987 Canada Cup. In 1987 and 1988, the talented forward was at his most productive with consecutive 26-goal seasons. In January 1990, Broten returned home when he was acquired by the Minnesota North Stars for Bob Brooke. He was more of a playmaker and checker for his new club and was on hand in September when Minnesota ventured to Moscow as part of the Friendship Tour. Before the 1990-91 season commenced, he was claimed on waivers by the lowly Quebec Nordiques. Broten was unhappy on the sad sack Nords and was part of mid-season trade that saw him join teammates Michel Petit and Lucien Deblois in Toronto. The trio helped the Maple Leafs bounce back from a miserable start and play fairly competitive hockey in the second half of the season. Broten retired in 1992 after playing 25 games for the Winnipeg Jets.